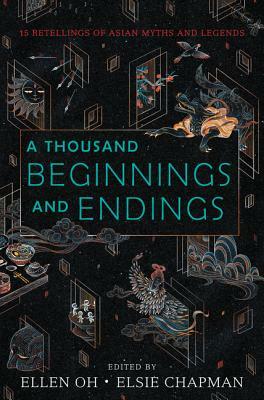 Sixteen bestselling and acclaimed authors reimagine the folklore and mythology of East and South Asia in short stories that are by turns enchanting, heartbreaking, romantic, and passionate. Compiled by We Need Diverse Books’s Ellen Oh and Elsie Chapman—who both contributed stories to this edition, as well—the authors included in this exquisite collection are: Renée Ahdieh, Sona Charaipotra, Preeti Chhibber, Roshani Chokshi, Aliette de Bodard, Melissa de la Cruz, Julie Kagawa, Rahul Kanakia, Lori M. Lee, E. C. Myers, Cindy Pon, Aisha Saeed, Shveta Thakrar, and Alyssa Wong. Sona Charaipotra & Dhonielle Clayton met while attending the New School’s acclaimed Writing for Children MFA program. Sona is a journalist who has written for the New York Times, People, Parade, Cosmopolitan, and other major media. Dhonielle is a librarian at a middle school in Harlem, and taught English at a cutthroat ballet academy. Together, the pair cofounded CAKE Literary, a boutique book packaging company with a decidedly diverse bent. Find them online at www.cakeliterary.com. Melissa de la Cruz grew up in Manila and San Francisco. She is the author of the novels Cat's Meow (Scribner, 2001) and The Au Pairs (Simon & Schuster, 2004). She coauthored the nonfiction books How to Become Famous in Two Weeks or Less (Ballantine, 2003) and The Fashionista Files: Adventures in Four-Inch Heels and Faux Pas (Ballantine, 2004). Her work has been translated into many languages. She lives in Los Angeles with her husband. Cindy Pon is the author of Silver Phoenix, named one of the top ten fantasy novels for youth by Booklist. She lives with her husband and two children in San Diego, California. Aisha Saeed is the New York Times bestselling author of the critically acclaimed novel Amal Unbound; the Bank Street Books Best Book Written in the Stars; Aladdin: Far from Agrabah; and Bilal Cooks Daal. Aisha is also a founding member of the nonprofit We Need Diverse Books. She lives in Atlanta with her husband and sons. You can find her online at www.aishasaeed.com.